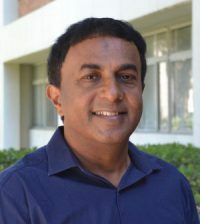 Varghese — who was on the UC San Diego faculty from 2000 to 2012 — is currently a Chancellor’s Professor in the Department of Computer Science at UCLA. He returned to the University of California in August 2016, roughly four years after stepping down from his full professorship at UC San Diego to work for Microsoft Research in Silicon Valley. 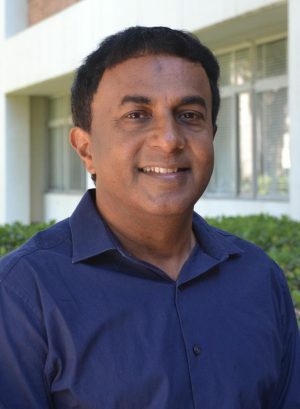 More than a decade ago, while still at UC San Diego, Varghese took a leave of absence in 2004 to co-found NetSift, Inc., with his Ph.D. student Sumeet Singh (Varghese as president, Singh as NetSift’s chief scientist). The company developed automated techniques for learning and detecting attack signatures. 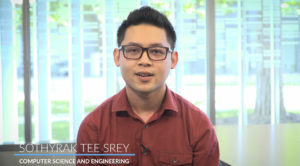 Barely one year later, NetSift was acquired by Cisco Systems in 2005, and Varghese extended his faculty leave to help Cisco transition the NetSift technology to a 20-Gigabit-per-second chip called Hawkeye. (Singh went on to work for Cisco for seven years.) CNS co-director Stefan Savage co-authored some of the early work on the NetSift technology, as did Varghese’s Ph.D. student Cristian Estan, who is now at Google. Varghese completed his Ph.D. at MIT in 1993, after doing his Master’s degree at North Carolina State. He did his undergraduate work at the Indian Institute of Technology (IIT) Bombay, which awarded Varghese its Distinguished Alumnus Award in 2015. In 2002 he was elected a Fellow of the ACM.